The worst time to remember you need brake service in Alexandria, VA, is just before you crash into the car ahead of you. Timely brake maintenance can save you from injury and save you big bucks on repairs. When a skilled mechanic, like a member of the team at Wiygul Automotive Clinic, inspects your brakes on a regular basis, you have peace of mind and a car that stops when you hit the brake pedal. Brakes on modern cars are dependable. They respond quickly to pressure when you push down on the pedal. You can slow down and stop dependably and quickly. But every part of your car is subject to wear and tear. That is especially true of the components in your brake system, all of which are under tremendous pressure on the road. You feel a jerky sensation when you brake. You hear noises when you come to a complete stop. Your brakes make a grinding noise. Don’t take chances with your brakes. Check your vehicle’s owners manual for recommendations to get regular brake service. 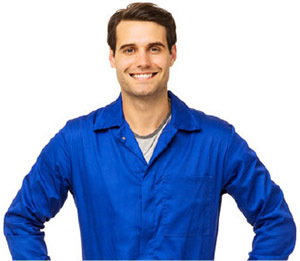 The mechanic can inspect the rotor and pads for signs of wear and tear. They might need adjustment or it could be time to replace them. He will top off the brake fluid or replace it as needed. If you notice any of the four signs of trouble listed above, bring your car in immediately. It makes no sense to put you and your passengers at risk. A skilled technician at Wiygul Automotive Clinic will check your brakes, starting with a visual inspection, which is free. He will measure the pads and do a fluid test. If he sees damage or wear and tear, he will recommend specific repair work. The most common types of brake service in Alexandria, VA, include news brake pads, brake caliper replacement, resurfacing your rotors or replacing them, repairing the brake hose, ABS brake repair, ABS actuator and pump service, brake line repair and wheel speed sensor repair. Wiygul has a reputation for attention to detail, a reassuring fact when it comes to brakes. The mechanics are all ASE-certified, which means they are the best in the industry. Wiygul uses superior parts that you can trust. You can also trust the advice of the crew at Wiygul, helping drivers just like you since 1976. The local community relies on Wiygul, a locally owned and operated repair shop. The team there is known for old-fashjioned service and up-to-date training, best practices and equipment and tools. The technicians service all major makes and models of cars, pickups and SUVs. 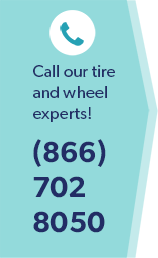 Call Wiygul Automotive Clinic today for a free, no-obligation quote for brake service in Alexandria, VA.